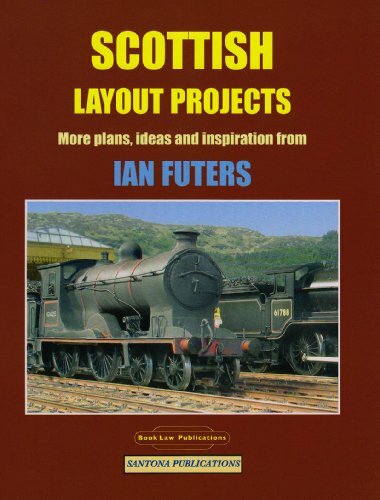 Scottish Layout Projects more plans, ideas and inspiration from Ian Futers. Ian provides another good selection of modelling projects, covering locations from all over Scotland and into the English borders. The book is split into two parts, the first titled “Realising the Dream” features Fort William and Ian’s own impressive 7mm model of the station. Ian publishes much of his own research and photographs of the model appear next to the same views of the prototype. I’ve seen the layout at exhibitions on a couple of occasions and Ian certainly did realise his dream. Inveraray, a branch line off the Callendar and Oban. Kielder Forest, Border Counties Railway in Northumberland. Ian Futers has a really polished style of writing, and his knowledge of Scottish railways is second to none. Excellent layout track plans supported by colour and black and white photographs of the prototype and of Ian’s own models and scale drawings of Fort William and Rothbury. Personally, I would have liked to see Oban featured, and perhaps more drawings of typical scottish railway structures.